SOLD - 18 Poplar Rd. Scituate, MA - Quincy Real Estate, South Shore Real Estate, SALES & LEASING! 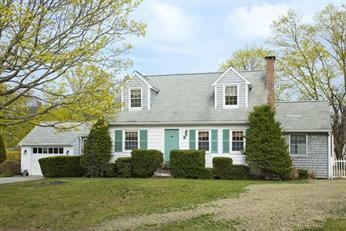 Sparkling New England Cape within short distance of Harbor. Lovingly cared for with two full baths. Downstairs bedroom wall was removed to make this room into a lovely familyroom with a step down to a light and bright four season room. Four season room has a cathedral ceiling, a wall of windows and a slider. Kitchen was remodeled to an open floor plan with a sitting bar area and a dining area. Fireplace living room. Full dining room with bay window. Two spacious bedrooms upstairs, master has a window seat. Central air! Full basement with a cedar closet. Attached garage. New septic system just installed. Shed, major appliances and window treatments included in sale. Wonderful neighborhood setting. Be close to all that Scituate Harbor and the Shopping/Restaurant District have to offer! Welcome Home!